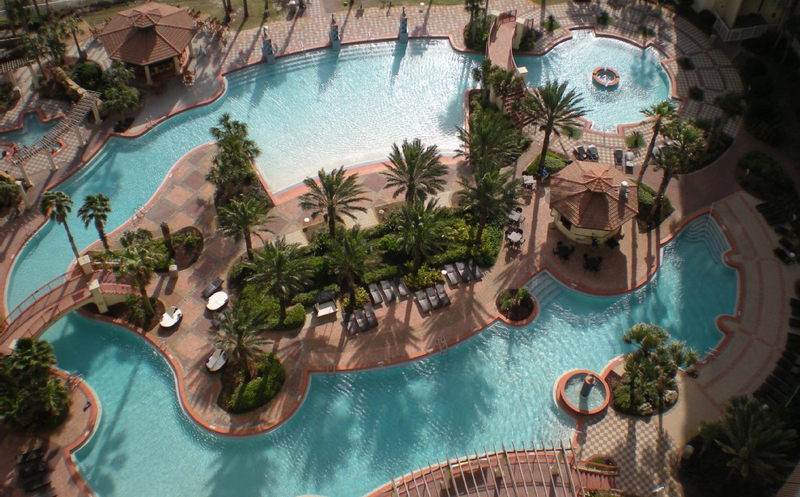 The pool area features a tiki bar, hot tub & lazy-river pool! This gorgeous 18th floor condo has amazing ocean and pool views in which you can see from the living room and kitchen through the extra large, floor-to-ceiling windows/patio doors. 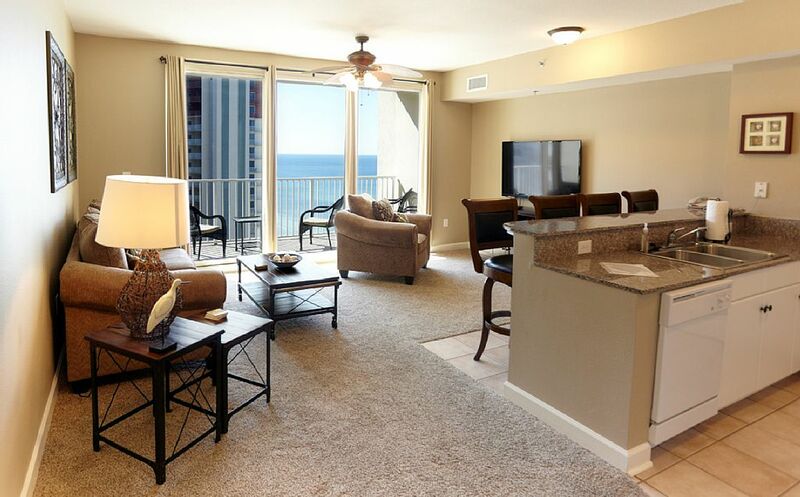 The patio doors lead out to an inviting balcony where you will also enjoy these gulf views. 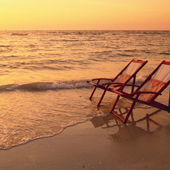 This is a perfect place to enjoy your morning brew or some down time with a good book. 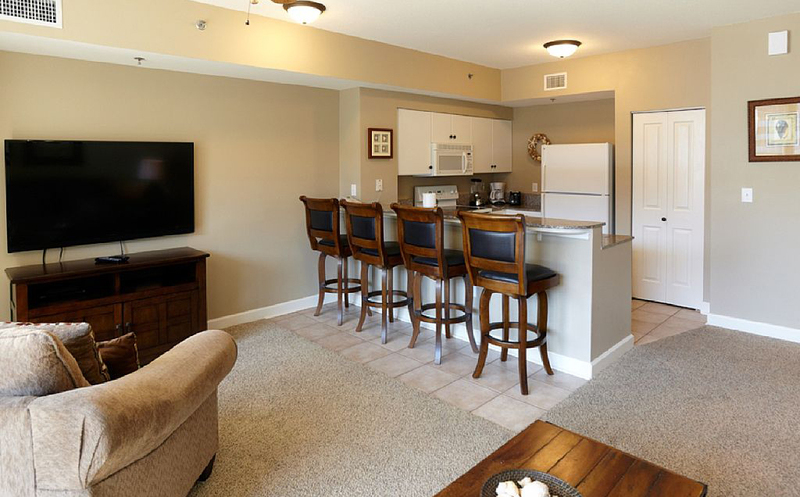 This unit is close to the attached parking structure for your convenience. 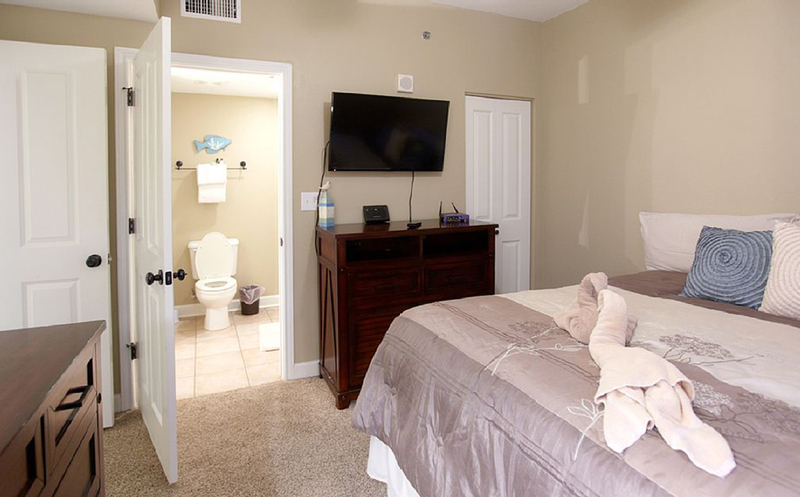 Some of the amenities you will find are free WiFi, flat screen TV's, extremely comfortable and quality furnishings, and a fully equipped kitchen. 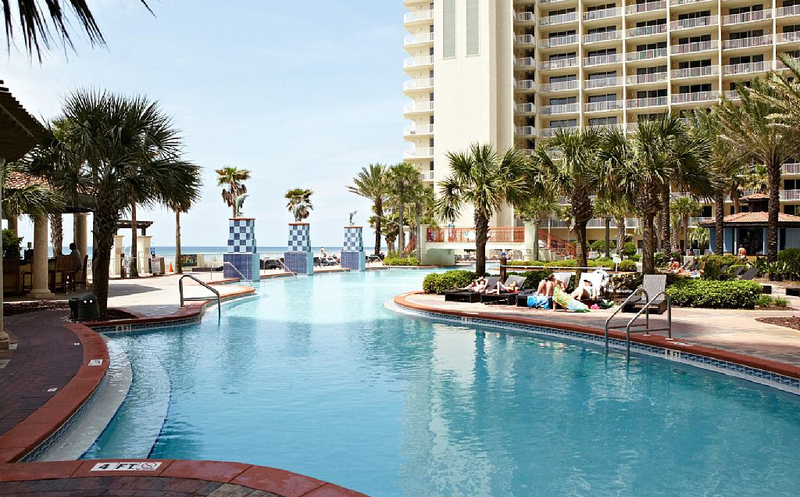 This resort is the best on the beach and is perfectly located. 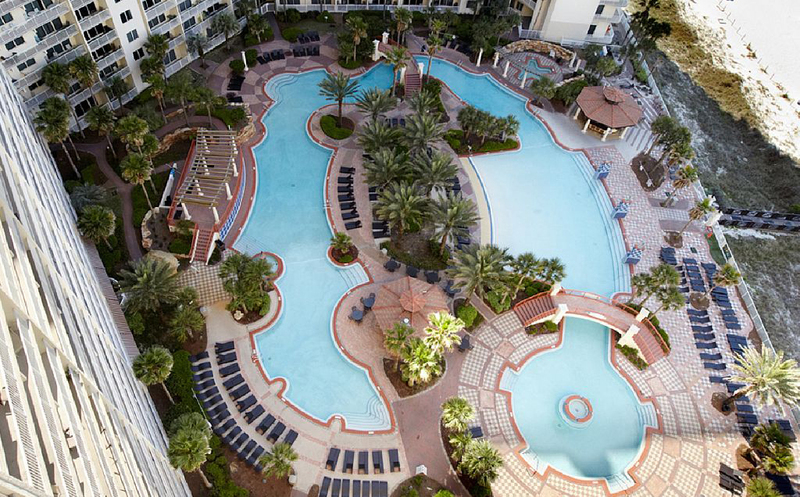 Enjoy the 14,000 square foot, lagoon style pool area featuring a lazy river pool, large hot tub, waterfalls, fountains, lounge chairs, a tiki bar/grill among much more. 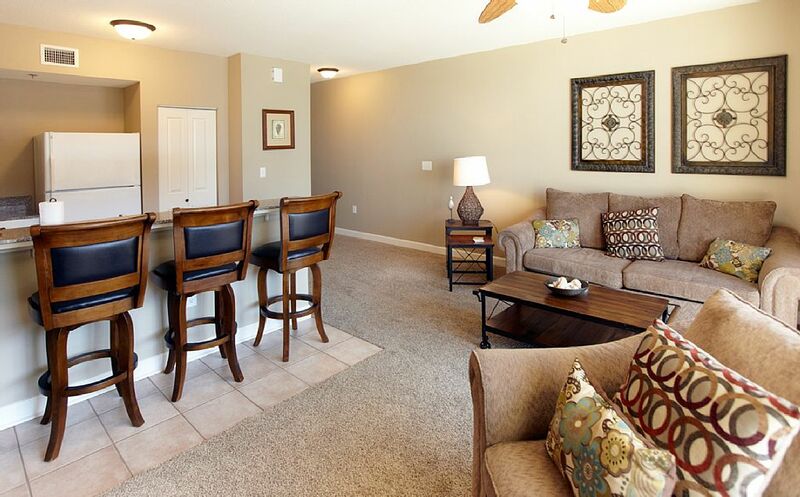 For those cooler days, you may enjoy the indoor heated pool and hot tub. 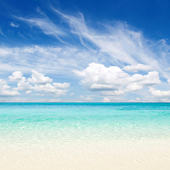 The best part of all ~ the beach is only a few short steps away! 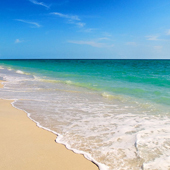 The extra wide beach frontage with sugar-like sand by the Shores of Panama is true paradise!!! 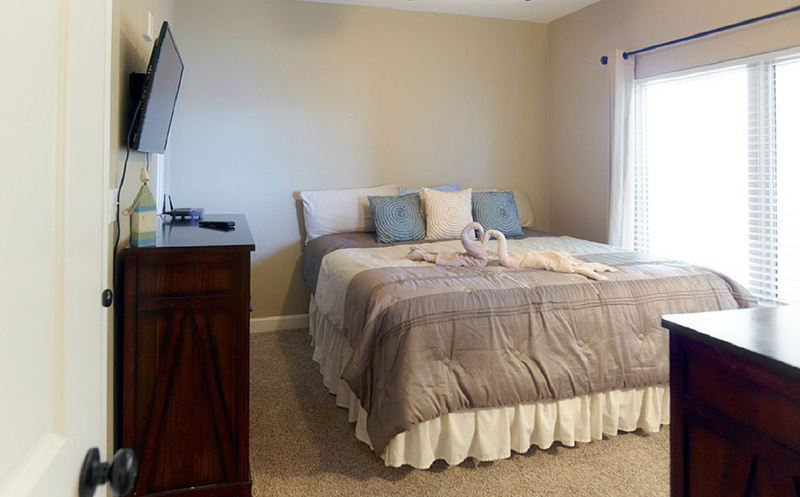 Master bedroom with King Bed and TV. 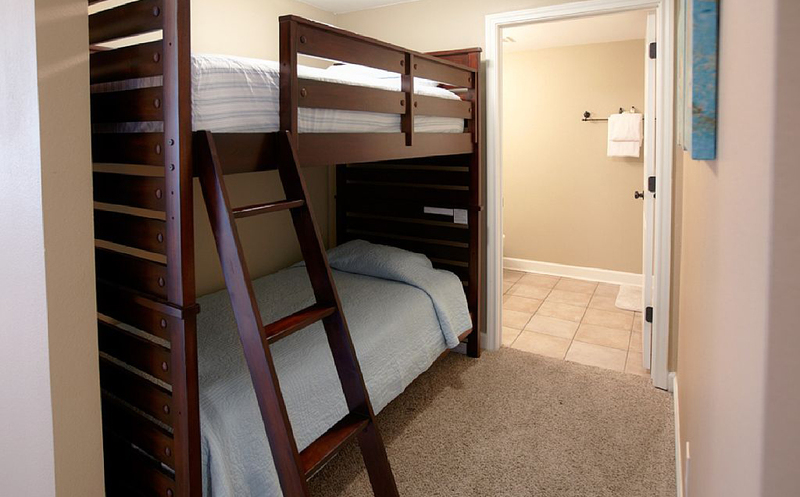 There is also a bunkroom with bunkbeds. This was our 4th time at the Shores of Panama and by far the best condo and service we have received yet. The views from this 18th floor condo were great! I would highly recommend this unit to anyone visiting the Shores of Panama. 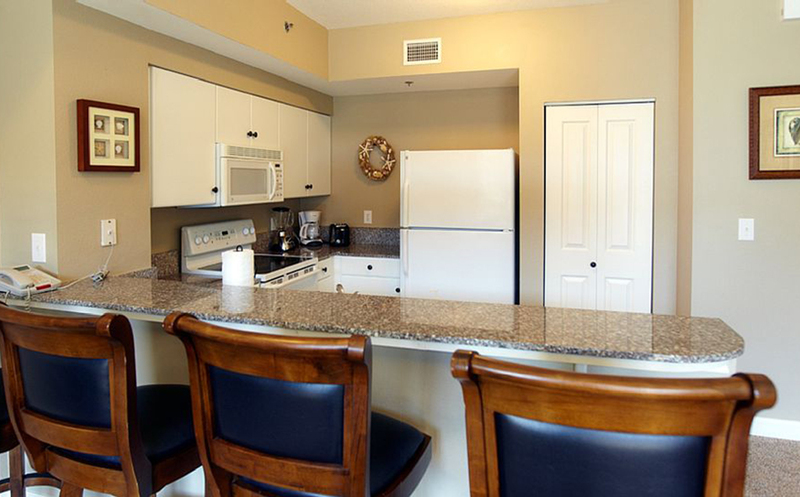 We didn't need a key or keycard, the condo was clean - everything seemed to be new. The free wifi was a real bonus. We didn't really have any problems, but when we needed something the owners or management took care of us promptly. Thank you for a great time! 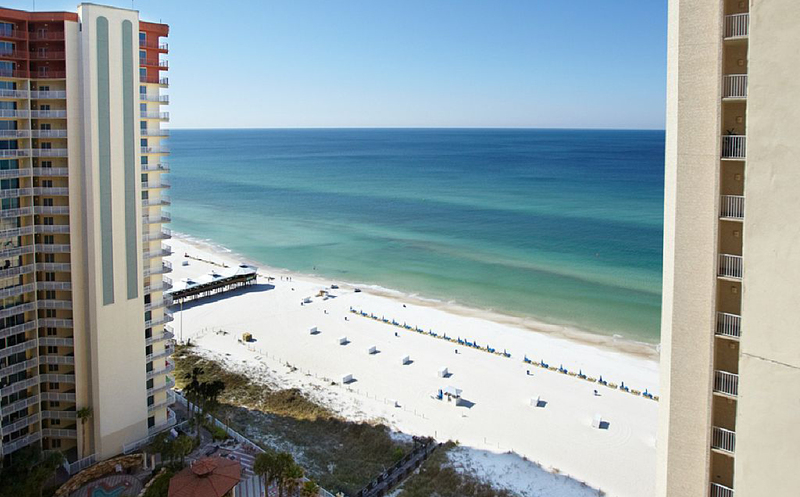 Beautifully decorated condo, very comfortable beds, and beautiful beach view. No complaints on the condo itself. If you read reviews from the resort itself you will hear about how horrible the elevators are, they are busy, but manageable. We found it was easier to catch an up elevator, so we would get on and ride up then back down. We left lots of sand toys, so hopefully those are available in the future for sand castle engineers. Great location, close to lots of shops. You can rent a jet ski immediately in front of the resort. 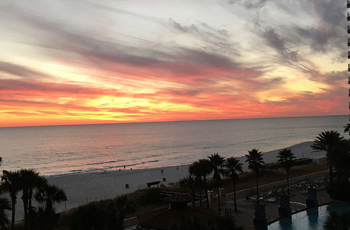 Guest Reviews: This was our 4th time at the Shores of Panama and by far the best condo and service we have received yet. The views from this 18th floor condo were great! 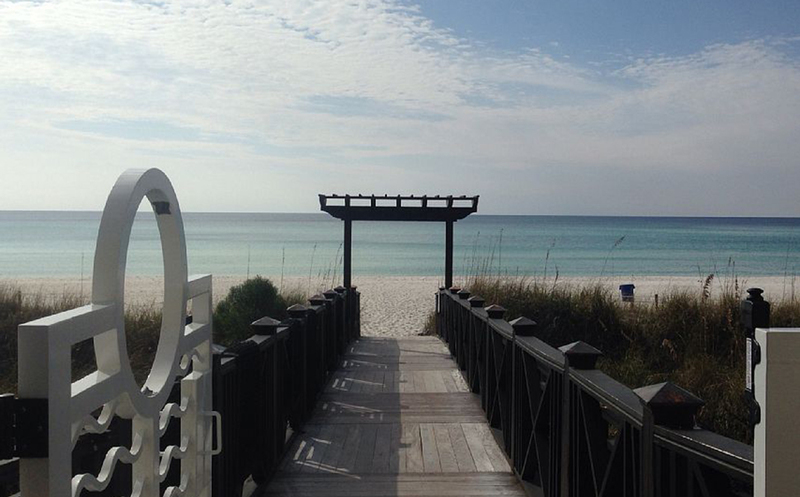 Guest Reviews: Beautifully decorated condo, very comfortable beds, and beautiful beach view.